I really do enjoy these takes on the ampullae of Lorenzini. 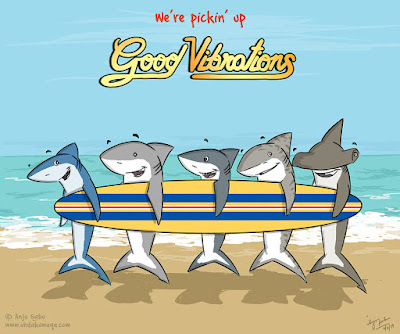 "A shark's hearing is adapted to detecting very low-frequency vibrations such as those made by a struggling fish"*. But I bet they pick up happy things too. P.S. 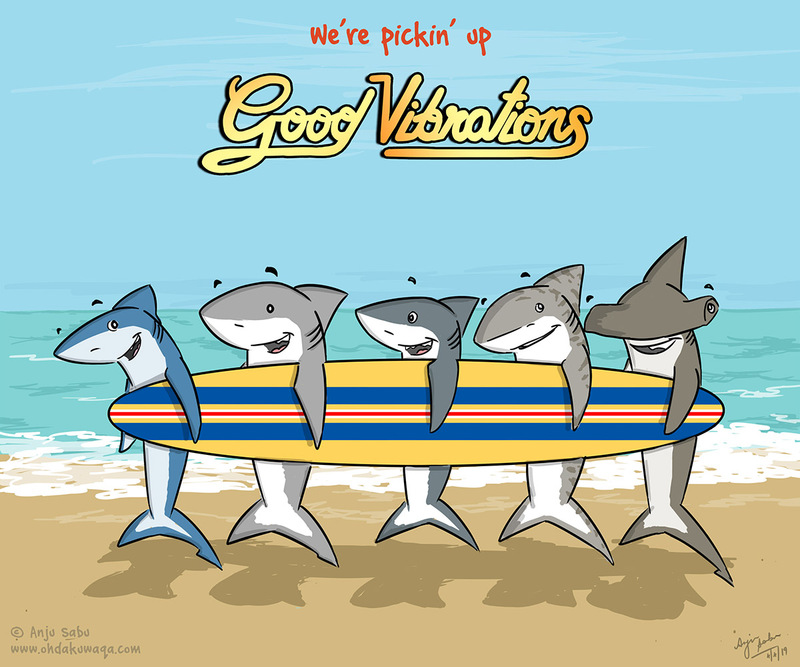 - In case you haven't picked up on it, this is a tribute to the Beach Boys as well.